Jax started out as a "normal" kid. At 9 months old he was walking around our coffee table and doing all the normal things a 9-month old would do. In the months to follow he learned to say bye bye and wave and would say mama, dada, and Ana (his nanny's name or as my mom would say NANA). Soon after his first birthday he caught a virus and was put on antibiotics. He did recover from the virus but suddenly he would no longer try to walk or talk. At his 15 month check up I told his pediatrician I was worried about him because he wasn't walking. She referred us to ECI (early childhood intervention) and they came out a month later to test him. Their recommendation was to start physical, occupational and speech therapy. About a month into therapy his physical therapist asked my nanny if she had noticed Jaxson's "wiggly eyes" aka nystagmus. She said yes we were aware of it and planned on talking with his pediatrician about it at his next visit. That same day I received a call from Jaxson's pediatrician asking me about the nystagmus. She said she wanted to refer me to a pediatric ophthalmologist and possibly a neurologist. A few days later we took Jax to the ophthalmologist. After his exam they told us that his vision was great and they would like to refer us to a neurologist and wanted us to get an MRI of Jaxson's brain asap. 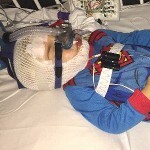 On July 8, 2014 Jaxson had an MRI done of his brain. The next day his pediatrician called me with the results. July 9, 2014 changed my life! She said they found areas of concern on Jaxson's brainstem and she was referring us to a metabolic geneticist and a neurologist. The following day we saw the metabolic geneticist. She went over the MRI with us and told us she was not sure what Jaxson had but she wanted to start with genetic testing to start ruling out some of the possibilities. She felt like it was either a demyelinating disease or a mitochondrial disease. We left her office in shock and in tears. We took Jax over to the Children's hospital and had the first round of genetic test done. The next day we met with the neurologist who recapped what we had already learned from the geneticist, requested a second MRI (this time with contrast) and told us they would be working together to get us some answers and a diagnosis. August 14, 2014 Jaxson had a second MRI of his brain. The results showed the same results as the first MRI. Areas lit up on his brainstem. On August 28 Jax had additional labs drawn. September 13, 2014 the geneticist called with the results. September 15, 2014 we sat down with the geneticist to discuss the results of the genetic testing. She confirmed Jaxson had a mitochondrial disease. A mutation in gene C12ORF65. She thought it was consistent with Leigh's syndrome, but wanted to send us to a mitochondrial specialist to confirm. On October 30, 2014 we met with Dr. Scaglia in Houston, he confirmed Jax has Leigh's Disease. I asked him what the life expectancy was, I never could have prepared myself for his response. I won't say how long he said because I believe Jax will beat the odds and he will have a long, beautiful, purposeful life. We then discussed options. He told us about a double blind study being done for kids with Leigh syndrome, EPI 743. But they were no longer taking new participants for the study. He then told us about RP103. It is a drug trial for Leigh's disease and they were enrolling for the study. Jaxson had to turn 2 yrs old before we could be screened to be a part of the study. We were accepted into the study and Jaxson started the RP103 on January 19, 2015. Jaxson has now been on the RP103 for over a year and we are happy to say he is now walking and doing pretty good overall, but it is not a cure. Since the diagnosis, our lives have been turned upside down. We've watched helplessly as this terrible disease takes its course. On January 6 Jaxson had a feeding tube put in and spent 6 days in Cook Children's hospital. After his surgery we noticed he was having tremors, so we had a rapid MRI done and found new lesions on his thalamus. If this disease is left unchecked, it will begin to impact critical organs such as the heart and lungs. The most common cause of death for patients with Leigh Syndrome is respiratory failure. All of the hopes and dreams we once had for our son have quickly been erased. Our focus now is on giving him the best life possible and doing whatever it takes to slow down the progression of this terrible disease. We are so blessed to have Jax in our lives. Through all the struggles he’s had to endure, he remains full of laughter and joy. He continues to live each day with an unwavering positive attitude. We look forward to partnering with Dr. Falk and are determined to continue fighting for our son, and we believe there is hope. The Mitochondrial-Genetic Disease Clinic at Children's Hospital of Philadelphia is one of the top research centers in the nation for mitochondrial related diseases such as Leigh Syndrome. Historically, a major roadblock in finding a treatment or cure for mitochondrial diseases such as Jaxson’s is that mitochondrial malfunction can be caused by a wide number of genetic defects. Through this research project, we will be teaming with Dr. Marni Falk and the team at CHOP to investigate therapies specific to Jaxson’s genetic defect. 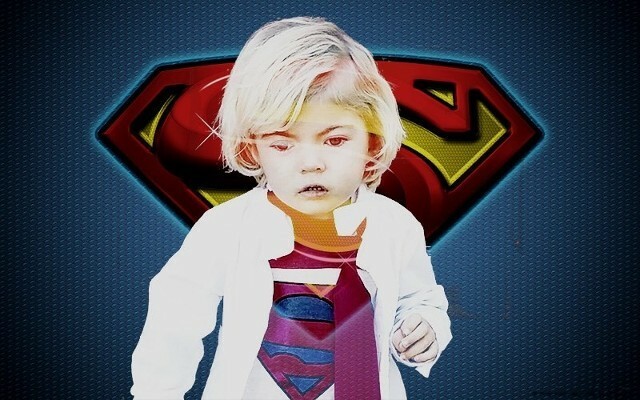 We feel strongly that this research project has the potential to have a dramatic positive impact on not only Jax, but also the thousands like him that suffer from this terrible disease. Thank you for your interest in the Jaxson Flynt Research Fund. 100% of all contributions are tax deductible and will go directly towards this project. Update on Jaxson: In April 2017 Jaxson traveled to Panama City, Panama to receive stem cell treatment. Shortly after he returned home he started walking again. He is going back to Panama in November 2017. Jaxson has received three rounds of stem cells from the stem cell institute in Panama and is doing great. He is walking and will start Kindergarten in August 2018.